In honor of a family trip to Colorado, I have a few good and bad ideas to share. 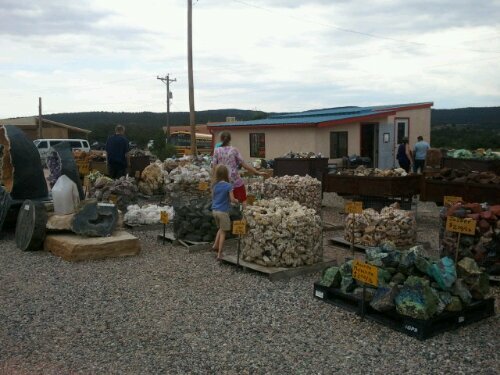 Picking out a rock at a shop to take home. We had a great time shopping! Picking out a rock from a national park to take home. Fishing with your kids on the Arkasas River from the Royal Gorge Bridge. 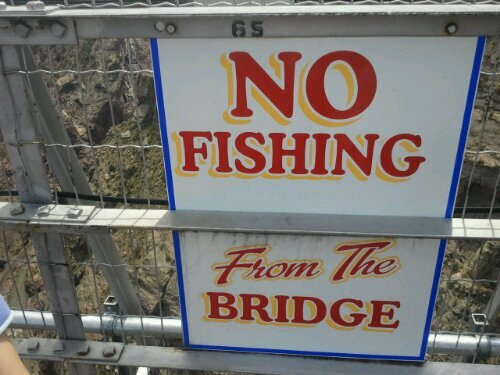 Seriously, the highest suspension bridge is not a good fishing location. I guess the sign is for extreme fishing enthusiasts crazy people. Riding a ski lift to the top of a mountain. 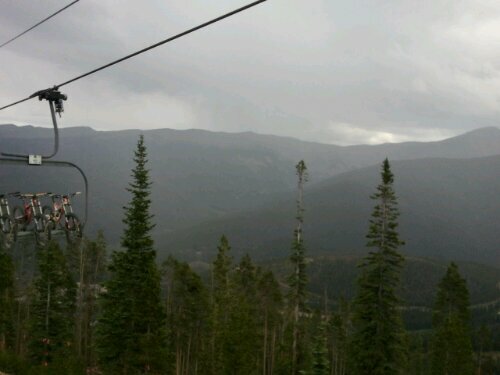 Riding a ski lift to the top of a mountain during a thunder storm. Oh, yes, we did this. We rode the lift back down the mountain as the rain started and the thunder rolled. The lift closed before we got to the bottom. I don’t recommend it.